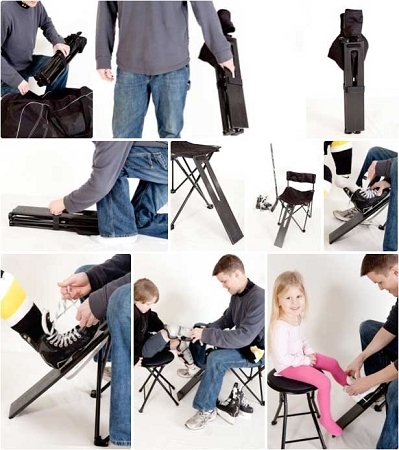 Lace-a-Skate is a revolutionary folding chair that boasts our heavy-duty ice skate blade ramp built right in. Tying ice skates has never been easier. Howies Cloth Hockey Tape 1"